We’re aware of a film going around the internet that suggests that Atta flour could contain plastic. Food safety and the enjoyment of customers who love our products is our absolute priority and we take any customer concerns very seriously. With that in mind, we’re 100% confident that what you can see in the video you’ve mentioned is, in fact, gluten. Flour is made from wheat a natural product made up of starch, protein and moisture. The functional type of protein present in wheat flour is termed gluten, which gives the dough the ability to extend to make chapattis, flatbreads and biscuits, and elastic properties to give rise to a loaf of bread. 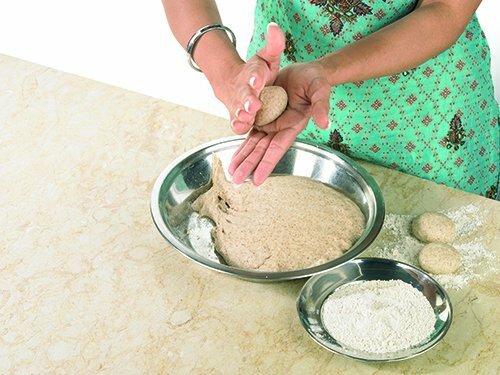 Should you make a dough ball and then gently wash under water, the starch will become soluble and wash out, leaving a gluten ball that is elastic and extensible.